Intuiface is powerful, broad in feature set, and always evolving. It’s also – to use the word not-so-subtly hidden in its name – intuitive. So don’t worry. You’ve got this. With a little effort you’ll build the skills. Watch our three one-hour webinars: 1) Intro to Intuiface, 2) Connect Your Intuiface Experience to External Data Using Excel and APIs, 3) Deep Analytics Through Interactivity. They’re comprised of live demos that go deep into the details. Next, check out some of the 70+ showcase videos on our website. Embrace the idea that you’ll actually be able to build all of those amazing things. Get to know our online library, the Help Center. Introduce yourself. You’re going to be using it a lot because it’s awesome. Since you’re in the library, go through our tutorial. This is how you'll get your hands dirty while remaining in control. Now download some of our free sample experiences from the Marketplace. Play them, study them, see if you can figure out how everything was built. And yes, go ahead and steal from them. There is no need to start from scratch. You watched those webinars, right? No? Don’t be cocky. They’re the best overviews on the planet. Now go build some stuff. Remember, you can use both Composer and Player without a paid license. Some subjects you should consider for a deep dive? Check out beacon support, accessibility, data tracking for analytics, and API Explorer. First, please work with our Support folks. It’s free and they’re brilliant. 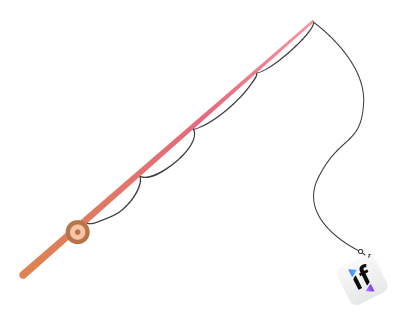 Bootstrap: A teach-you-to-fish service for a flat fee of $/€ 5k. We start a project based on your design needs and teach you how to finish the job. You get our experts for a predictable fee on an actual project. Talk about anything you’d like, from basic design points to the smallest detail of features like data tracking and the integration of third party services. It’s the most complete option. 1:1 Consulting: One hour increments at $/€ 200/hour conducted via a screensharing session. For a more complete service delivery option, how about hiring one of our Intuiface Creative Experts? What's that you say? There's nothing to learn from the hard won expertise of Intuiface partners? Of course there is. Learn from the best. If it makes you itchy to hire a seeming competitor, find someone outside of your geography. Finally, all first-time customers are entitled to a live, 30 minute 1:1 consulting session. And Composer Enterprise customers are entitled to a second consultation session as well. This way you'll get to work with our own experts.